Starting school is an exciting time for parents and children. To assist children with bladder or bowel conditions to make the transition to school smooth requires a co-ordinated effort between the child, parents, the child’s school and the child’s treatment team. Below are some strategies to enhance the smooth transition. Ideally this should be done prior to school commencing. Meetings should include the child as well so that they can take an active role in the process and so they know what the plans are and why they have been established.  Urinary and/or faecal incontinence, frequency and urgency.  Your child’s feelings – e.g. embarrassed, anxious, not concerned.  Your child’s coping strategies – e.g. holding manoeuvres, self-management such as changing clothes, ignorance.  Has the teacher had many students with continence issues in the past?  Provision of spare clothes. Consider each uniform for summer and winter and make sure the correct uniform is provided for each season. What clothes need to be provided e.g. underwear, shorts or skirt?  Insufficient toilet facilities; toilets being locked, a lack of support staff to assist with toileting and the absence of a planned approach to continence management.  What is to be done with soiled clothing? – Where is the soiled clothing kept e.g. students bag, office to be picked up later.  How to alert the teacher if student needs to go to the toilet.  How the teacher will alert the student regarding the need to change clothes. – The goal is to maintain the student’s dignity without creating a focus on the student.  Orientate the student to the toilets. Which toilets are the students allowed to use e.g. infants only toilets, address any fears related to the use of public toilets, review toilet posture, wiping, hand washing and hand drying. 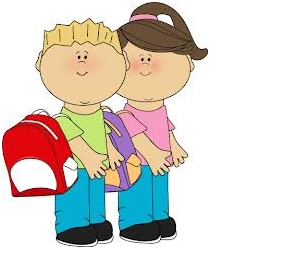  Plan school excursions such as toileting prior to leaving school or the excursion venue. Identify toilets at the venue. Pre-plan toilet stops. Utilize toilet map information www.toiletmap.com.au. – Water bubblers are not enough. – Other intervals as required. – Remember to review the action plan for each new school year. If you have any questions or would like Eileen Lavis, Continence and Pelvic Floor Physiotherapist to talk to the teacher or school please contact the clinic on 4975-1622. Good luck and enjoy school!